Every day, our choices can have an effect on the internal processes that maintain normal function in our bodies. EPA research is exploring how diet, which can influence physiology and health in both overt and subtle ways, can shape our body’s response to air pollution. Learn more. EPA’s Office of Research and Development (ORD) recently announced plans to reorganize. The proposed structural changes will increase the impact of ORD’s research efforts and better address the increasingly complex environmental challenges of the 21st century. Learn more. Lead in drinking water poses major health risks. EPA researchers are leading research to better understand the dynamics of water chemistry, treatment, and infrastructure to help facility managers and local communities keep lead out of drinking water. Learn more. EPA’s EnviroAtlas uses maps and data to help communities understand the relationship between nature, health, well-being, and the economy. 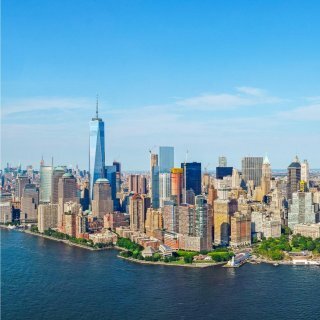 Researchers have added fine-scale data and maps for three new urban areas to EnviroAtlas, in addition to the 24 U.S. urban areas already included. 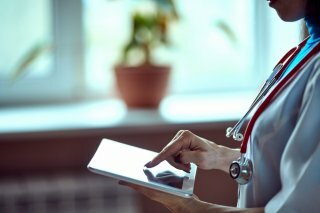 The new featured areas, Philadelphia, PA, Salt Lake City, UT, and Sonoma County, CA, collectively include over 300 cities and towns not previously covered. Learn more. Using new technologies, it is easier than ever to collect, analyze, and report environmental data. To help citizen scientists improve data quality, EPA has created a new Quality Assurance handbook to be used with accompanying templates and examples for citizen science. These documents provide best practices for citizen science organizations on how to document quality assurance for citizen science projects. Learn more. 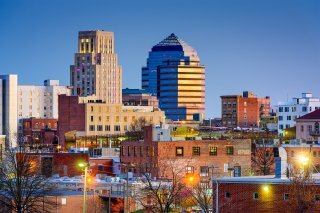 Nearly a century ago, the City of Durham, North Carolina went on a tree planting spree—but now the trees are approaching the end of their lifespans. 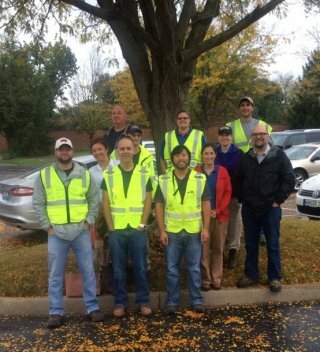 As part of a new tree planting initiative, the City asked EPA researchers to develop a plan that would prioritize where to place trees to maximize the benefits the trees would provide to the community. Learn more. Do Dietary Supplements Protect Against the Harmful Effects of Air Pollution Exposure? EPA researchers are evaluating whether dietary supplements can mitigate some of the adverse effects of ozone exposure. Ground-level ozone, one of the six criteria air pollutants that is regulated by the EPA, is a molecule known to cause a variety of adverse health effects at elevated concentrations. Learn more. The meeting is an opportunity for leaders in the field to come together to share the latest advances in toxicology and collaborate on future projects. Learn more about the research EPA presented including models that look at chemical exposures, research findings on the health effects of smoke exposure, and more. This research update features some of the latest in EPA science. Learn more. 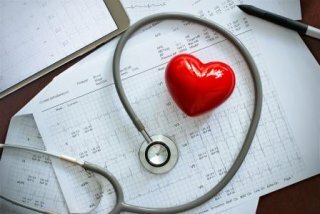 According to the CDC, high cholesterol is a known risk factor for the development of cardiovascular disease, which can lead to heart attacks. EPA researchers are using new diagnostic technology and air quality modeling to better understand potential links between air quality and high cholesterol. The findings may support efforts to identify intervention strategies and assist decision makers with protecting the public from environmental risks. Learn more. 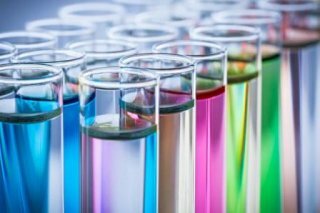 In collaboration with the National Toxicology Program, researchers used a chemical category prioritization approach to select 75 PFAS chemicals to begin testing using the new methods. The data gathered will help inform human health assessments. Learn more. This past June, EPA brought together teachers, researchers and staff for an environmental education workshop focused on EPA’s EnviroAtlas. 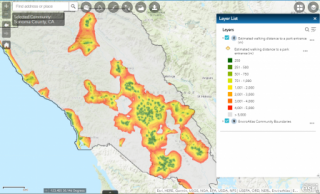 EnviroAtlas is a web-based interactive mapping tool, containing hundreds of geospatial data layers, built-in analysis tools, and a wealth of other resources, that allows users to explore their surrounding environment. Check out our ready-made EnviroAtlas lesson plans for every grade level, from kindergarten through undergraduate. Learn more. Following a natural disaster, communities can face an unexpected challenge: what to do with the tons of waste and debris left behind. To help manage waste after disasters, EPA researchers and partners developed a suite of tools to assist in both urban and rural waste management planning and emergency response. Learn more. Wildfire smoke poses a threat to public health and safety. EPA researcher Gayle Hagler served as an Air Resource Advisor for Utah’s Pole Creek and Bald Mountain fires as part of the U.S. Forest Service’s Wildland Fire Air Quality Response Program. Hagler created a daily “Smoke Outlook” to communicate information to the public about the fire conditions, meteorology, and predicted fine particulate matter levels in areas downwind of the wildfires. Learn more. Bisphenol A (BPA) is an industrial chemical that has been used to make certain plastics and resins since the 1960s. New research by EPA scientists shows that BPA and its most commonly-used alternatives disrupt microbial community structure in zebrafish. These dynamic communities of bacteria, viruses, fungi, archaea, and protozoa colonize the skin and gut of a host animal (including humans) and play important roles in health and disease. Learn more. 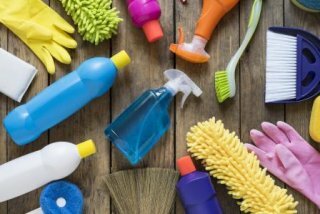 Where and how we spend our time plays a major role in the types of chemicals we’re exposed to each day. To better understand these exposures, EPA researchers have created a method that models human behaviors using artificial intelligence. This data is necessary to assess a chemical’s potential risk to human health. Learn more. 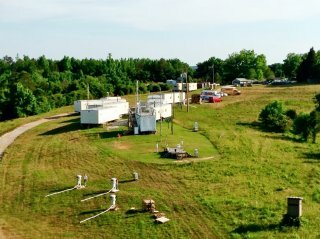 During the summer of 2013, some 60 atmospheric scientists converged in Alabama, Tennessee, and North Carolina to study everything they could about the physical and chemical interactions of many pollutants in the atmosphere. 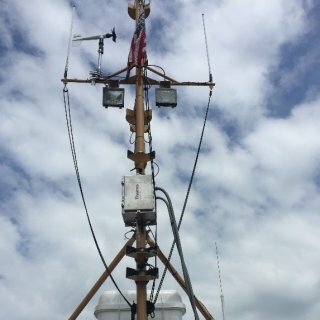 This collaborative field project, supported by EPA, NOAA, and the National Science Foundation, generated more than 111 published papers, providing a wealth of data and findings that have been made available to the public and an improved understanding of aerosol processes in the southeastern U.S. Learn more. More than 60% of Navajo households use wood stoves for heat. The stoves are often very old, inefficient, and poorly vented, leading to high levels of indoor and outdoor air pollution and increased risk of fires. To combat these issues, EPA and partners have researched and designed a comprehensive stove replacement and home weatherization program that meets the needs of the Navajo Nation. Learn more. Harmful algal blooms—the overgrowth of algae in water—are a major problem across the nation. They can cause severe, negative impacts on aquatic ecosystems, the economy, and human health. 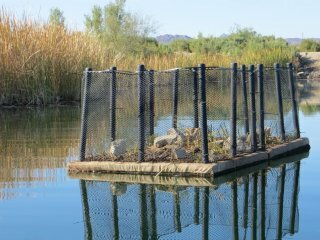 EPA is working with Chemehuevi and Colorado River Indian Tribes to evaluate the effectiveness of using man-made floating vegetated islands to reduce the occurrences of these blooms in water within the tribes’ reservations. Learn more. Tourism and recreation are critical to the economy and communities of Cape Cod, Massachusetts. 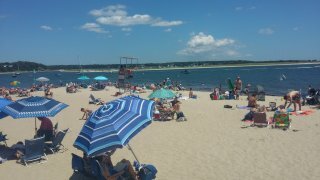 A recent EPA study found that when popular Cape Cod beaches are closed for the day due to bacteria levels in the water, it can mean losses of more than $15,000 for the community. 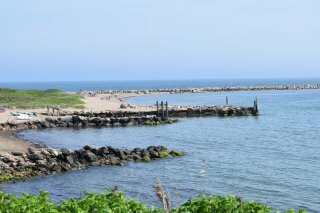 EPA researchers are currently conducting a survey across New England to learn about other issues that affect people’s decision to go to the beach and to understand how water quality impacts these communities. Learn more. EPA researcher Dr. Wayne Cascio studies the health effects of environmental pollutants to inform risk assessment, risk management decisions, and improvement of public health and quality of life. Dr. Cascio received the Homer N. Calver Award from the American Public Health Association for his role leading EPA’s work to focus global attention on the link between air pollution and heart disease. Learn more. We’re thankful for our hardworking researchers that contribute to EPA’s mission to protect human and environmental health. Read about what some of our researchers are thankful for this year. 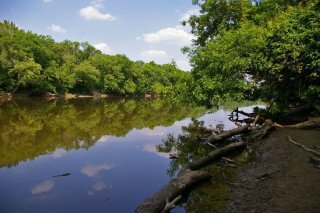 EPA and partners are restoring sites along the St. Louis River that have long suffered from pollution. These areas have traditionally provided space for spiritual reflection and other tribal uses for the Native American communities in the area. EPA researchers are working with Fond du Lac Band members so that tribal resources, culturally significant places, and traditional ecological knowledge are incorporated into recommendations for restoration plans. Learn more. As wildfires become more frequent and severe, communities affected by wildfire smoke are concerned with air quality. Recent advances in sensor technology have led to a rise in the number of commercially available, low-cost air sensors that measure particulate matter, a harmful component of wildfire smoke. EPA researchers are working with partners to deploy and evaluate low-cost air sensors to determine if they can be used to reliably collect information about air quality in smoke-impacted areas. Learn more. Oil spills are threats to both ground and surface waters, which can ultimately impact drinking water. 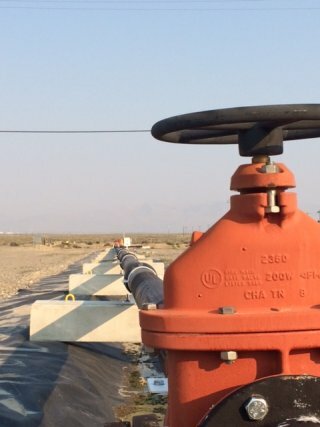 EPA researchers recently examined the effectiveness of flushing crude oil to remove any persistent oil in the pipeline, appliances, and premise plumbing at EPA’s water security test bed at the Idaho National Laboratory facility. Learn more. Research has long linked asthma with exposure to air pollution. The estimated six million children in the United States with asthma are especially vulnerable to air pollution. 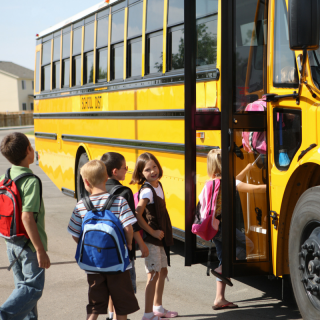 Read about three recent EPA studies on the link between childhood asthma and air pollution. Learn more. If lead is found in drinking water, it is important to quickly identify where it is coming from within the water system. That can mean taking samples at every stage, from the distribution system all the way to the plumbing system inside the home. EPA researchers have determined the best lead sampling techniques to identify the source and protect public health. Learn more. Air pollution can take a significant toll on the cardiovascular system. However, only three percent of patients with heart disease discuss how to reduce their exposure to air pollution with a healthcare professional. In a recent article, EPA researchers discuss strategies to reduce exposure and the health effects of air pollution. Learn more. 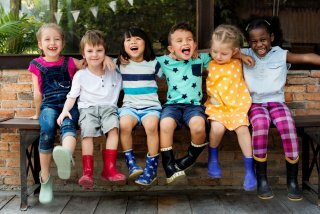 The total environment approach recognizes that stressors impacting childhood health and development are encountered across three broad areas: the built, natural, and social environments. Two recent literature reviews show how EPA is advancing the total environment model as a new frontier in children’s environmental health research. This research helps to improve community health, particularly for children and other vulnerable groups. Learn more. Improving the health of children across every community is the singular focus of the NIEHS/EPA Children’s Centers. Through this partnership, teams of researchers investigate the links between the environment and children’s health in ways that directly inform actions that reduce risks and prevent disease. 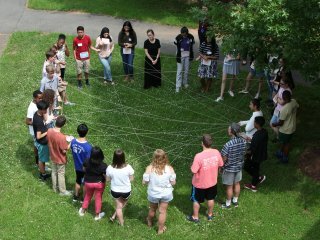 Learn about the impacts of the partnership over the last 18 years, including 46 grants totaling more than $300 million to 24 Centers through a highly competitive application process. Learn more. Certain forms of arsenic and lead are not bioavailable, meaning they are not fully absorbed by the human body. EPA has developed a new testing method to quickly and inexpensively estimate the bioavailability of lead and arsenic in contaminated soil. The method, based on a “virtual stomach” that mimics human digestion, can save millions of dollars in clean-up costs by helping identify which soil needs to be removed from a contaminated site. Learn more. Wildfire smoke can be a public health burden for communities across the United States. Last year, EPA researchers developed the Smoke Sense app, a mobile application that lets users learn about wildland fires and smoke health risks in their area and report health symptoms they experience. EPA’s Dr. Ana Rappold, the project’s lead scientist, explains what the team learned from last year’s pilot phase of the project and what they’ve changed for 2018. Learn more. How do you evaluate the potential effects of tens of thousands of substances that currently exist in our environment? 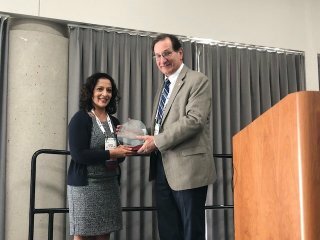 EPA research toxicologist Gary Ankley was honored last week in Washington, DC, as a 2018 Career Achievement finalist for three decades of work to establish techniques and standards to identify dangerous chemicals and prevent them from contaminating America’s lakes and waterways. Learn more. Are you interested in the potential ecological effects of chemicals? EPA’s web-based Ecotoxicology Knowledgebase houses toxicity effects data on over 11,000 chemicals and 12,000 species, including aquatic life, terrestrial plants, and wildlife. Users can explore the curated data on the effects, if any, of specific chemicals on different species of fish or native plants. Learn more. The chemical read-across approach uses information about a chemical with known data to make a prediction about another chemical that is “similar” but does not have as much data. To improve this method, EPA researchers have developed an automated read-across tool called Generalized Read-Across. This work is part of EPA’s ongoing effort to develop faster methods to evaluate chemicals for potential health effects. Learn more. How Does Lightning Impact Air Pollution? 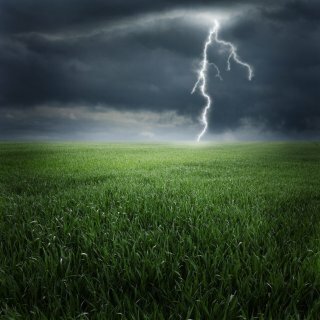 Lightning-generated nitrogen oxides have a relatively small but potentially significant impact on ground-level ozone. EPA researchers are using innovative air quality models to measure these impacts. Learn more. Wildland fires pose many obstacles for air quality monitoring because of high concentrations of air pollutants, high temperatures, rugged terrain, and other challenges. 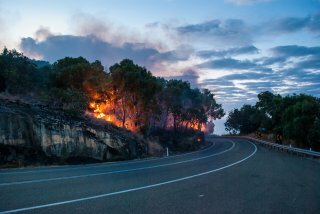 EPA and partners created the Wildland Fire Sensors Challenge to develop air monitoring instruments that could handle these conditions. Learn about the winners of the challenge. EPA grantees are working in cities across the country to teach local residents about how to use low-cost air pollution sensors to monitor air quality. One grantee is working with a team to teach local students how to use low-cost air pollution sensors to monitor air quality in Washington’s lower Yakima Valley. 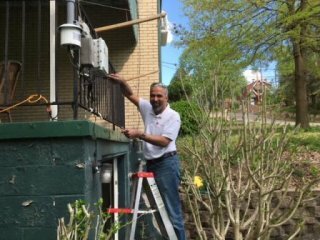 Across the country, another grantee is working with residents to monitor air quality in Pittsburgh, Pennsylvania, a city that has struggled with exposure to air pollution for many years. Learn more. Local and state officials are contemplating what to do with a vacant and once contaminated property located in downtown Dover, Delaware. EPA is helping officials make decisions about the site by conducting a rapid Health Impact Assessment, an approach for identifying how a proposed policy or project might impact the health of a community. Learn more. 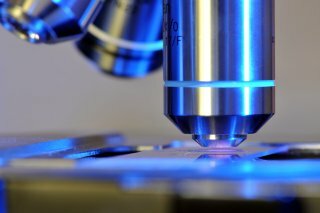 Microbial Source Tracking: How did that get in there? An estimated 90 million illnesses each year are caused by exposure to microbial contaminants in U.S. recreational waters. EPA researchers have developed several tools to characterize the sources of microbial contamination. Understanding the contamination sources can help resource managers mitigate the effects of the pollution or stop it from entering the water in the first place. Learn more. Following a disaster, water systems can become flooded and unable to provide safe drinking water to communities. To address this challenge, EPA researchers partnered with WaterStep to develop a portable water treatment system that can quickly and cost-effectively provide safe drinking water to affected communities following a disaster. This partnership helped provide clean drinking water in the aftermath of the devastating hurricanes in Puerto Rico. Learn more. Many communities face challenges when managing their water resources. 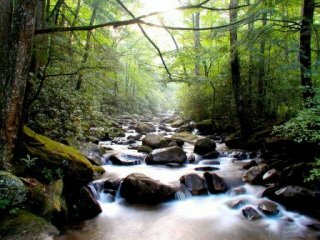 EPA developed the Watershed Management Optimization Tool to help water resource managers and planners improve water quality. The tool was recently used to help communities in Massachusetts and Maryland. Learn more. To help share EPA’s work with students of all ages, EPA researchers developed several E-STEM resources that can be used in formal and informal educational settings. Learn more. Traditional drinking water treatment technologies are not able to remove per- and polyfluorinated substances, or PFAS, from water. 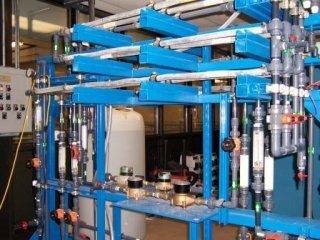 EPA researchers are working to enhance water treatment approaches to remove PFAS compounds from drinking water. Learn more. 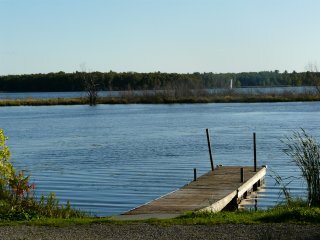 As one of the world’s largest surface freshwater ecosystems, the Great Lakes have their share of water quality issues. As part of the Great Lakes Cooperative Science and Monitoring Initiative, EPA scientists have been using two research vessels and an autonomous glider to collect data on Lake Ontario all summer long. The data will help determine the overall health of the lake and which areas need to be prioritized for restoration. Learn more. Some chemicals can disrupt the endocrine system, a complicated network of glands, hormones, and receptors that regulates biological processes in the body. EPA researchers are analyzing the use of a high-throughput screening assay that detects chemical effects on steroidogenesis, the production of steroid hormones from cholesterol. The new assay has potential to increase the efficiency of chemical screening efforts and fill data gaps for large numbers of chemicals using fewer resources. Learn more. Per- and polyfluoroalkyl substances, known as PFAS, are chemicals used in countless consumer products. With so many types of PFAS in use, it can be difficult to find out which ones are persisting in the environment. EPA is using a new approach, non-targeted analysis, to help communities determine potential PFAS exposure. Learn more. For many years, EPA has been helping clean up properties in Omaha, Nebraska, affected by lead contamination from the operation of a lead refinery. EPA researchers are gathering data to ensure that these efforts are leading to decreased blood lead levels in the children that lived in the affected areas and determine whether further remediation is needed. This research has the potential to help protect children across the country in areas where not as much data is available. Learn more. The eastern coastline of the United States is a key ecosystem for millions of people. EPA measures changes in the pH of seawater in these coastal and estuarine areas to ensure that this important ecosystem is protected. Because the pH of coastal waters can vary so greatly, EPA has published guidelines for doing your own measuring to increase our understanding of how water pH affects life in and around these areas. Learn more. Rainfall replenishes water supplies and keeps our urban landscapes green, but even small storms can cause localized flooding and inundate sewer systems. EPA researchers and partners are determining the extent to which vacant lots around the city of Buffalo, NY, can function as green infrastructure by absorbing and filtering stormwater. Learn more. For those with pets, long summer days may mean more time outside for adventures with your best pal. But all that fun in the sun can impact our health, as well as that of our animal friends, by increasing our potential for exposure to things like tick- or waterborne-illnesses. EPA is working with partners to protect the health of people and their pets. Learn more. Lead can contaminate drinking water as the water moves through pipes with lead in them. In some cases, lead levels in drinking water can remain high even after the pipes in the system have been replaced. EPA researchers worked with the city of Madison, Wisconsin, to determine why elevated lead levels can persist for so long. Learn more. Due to multiple factors, bees have declined across North America and Europe. EPA researchers looked at pesticide exposure to provide scientists with a clearer understanding of how it affects honeybees at the colony level. Learn more. How do you test for something when you don’t even know it’s there? EPA is using non-targeted analysis methods to identify unknown chemicals in samples, without having a preconceived idea of what chemicals are present. 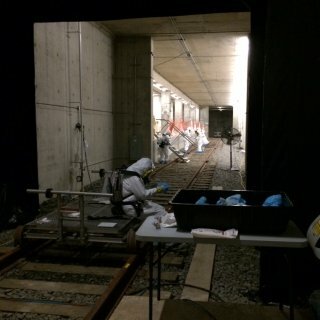 These innovative methods may make chemical safety assessment faster than traditional methods. Learn more. Could baseball's MVP be your local forest? For many baseball players, the wood of choice for baseball bats is white ash, a native of the forests of eastern and central North America. EPA scientist Tara Greaver and colleagues explored the cascade of impacts of reduced white ash and balsam fir trees on forest ecosystems and human well-being. Learn more. 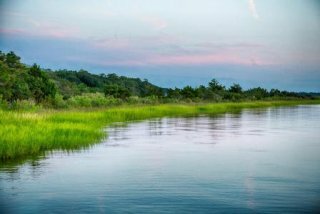 The Long Island Sound is home to a diverse array of aquatic and terrestrial ecosystems. This unique geography leads to high ground-level ozone concentrations along the shorelines of New York, Connecticut, and Rhode Island. EPA is working with partners to better understand the complex interaction of emissions, chemistry, and meteorological factors contributing to these high levels. Learn more. Harmful algal blooms produce cyanotoxins which can contaminate water and impact tourism, the fishing industry, and recreational activities. At Milford Lake—which discharges into the Kansas River, a drinking water source for more than 800,000 people—EPA researchers are working with the state of Kansas and other partners to determine ways to monitor, prevent, and predict harmful algal blooms. Learn more. This research update features EPA research all across America. Learn more about how EPA is conducting research in communities around the country. EPA researchers are using their expertise to help states, tribes, and local governments with per- and poly-fluoroalkyl substances. These chemicals, known as PFAS, do not break down easily in the environment and can have implications to human and environmental health. 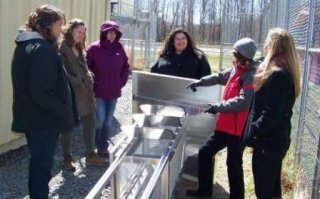 EPA researchers are helping communities identify and reduce PFAS chemicals at sites around the country. Learn more. For communities living close to industry, air pollution emissions may be a concern to health and well-being. 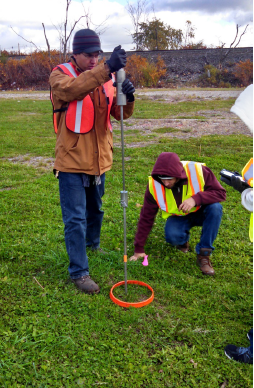 EPA researchers are working with industry, states, and communities to develop low-cost and portable technologies that can be deployed next to an industrial complex for emissions testing. Learn more. EPA is working with grantees to develop predictive toxicology tools. These virtual tissue models, sometime referred to as “Organs on-a-chip,” provide a pathway for the development of new prediction techniques. They also have the potential to reduce dependence on animal study data and contribute to faster chemical risk assessments. Learn more. Burning oil spills has been a fast and relatively safe way to reduce the impact on water quality and marine life. However, burning oil can impact air quality and the oily residues left behind in the water can cause environmental damage. Learn more. 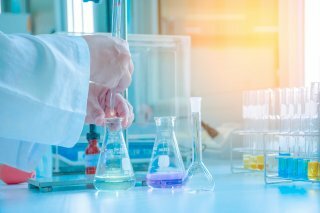 Since the Nation’s primary chemical management law, the Toxic Substances Control Act (TSCA), was amended in 2016, EPA researchers have been providing support for several important TSCA activities. EPA has met several key milestones and continues to move the state-of-the science forward. Learn more. Small, portable, low-cost air quality sensors are providing new opportunities to assess air quality. 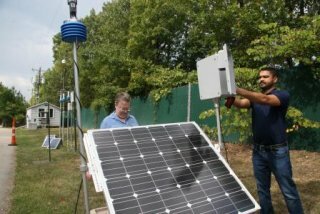 To assist local and state air quality managers, community groups, and others, EPA is evaluating and developing air sensor technologies and providing information on using and interpreting sensor data. 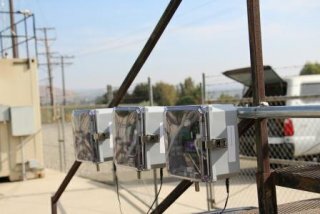 EPA recently collaborated with the South Coast Air Quality Management District’s Air Quality Sensor Performance Evaluation Center in California to study the performance of some of these sensors. Learn more. 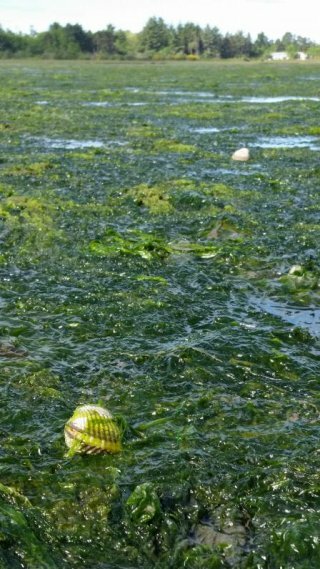 In small estuaries of the Pacific Northwest, seasonal blooms of green macroalgae are primarily associated with natural nutrient input. This environment allowed EPA researchers to study the effects of macroalgal blooms on an ecosystem, without the additional influence of chemical co-contaminants that are often present in more populated areas. The results of the study will help researchers better understand the effects of nutrient pollution on important fishery species, like the heart cockle. Learn more. Sometimes there is a simple way to avoid the health effects of harmful algal blooms — just stay out of the water. But when that water serves as a drinking water source, just waiting it out can leave thousands without a basic necessity: clean, healthy water. That’s why EPA researchers are helping water treatment facilities keep the water flowing even in the face of harmful algal blooms. Learn more. The “One Health” approach recognizes that human health is connected to the health of animals and the environment. 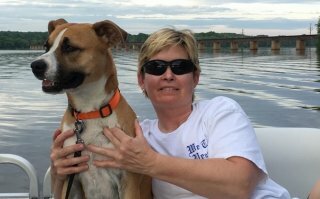 An article by EPA researcher Betsy Hilborn describes how using a One Health approach could help address and reduce the risks associated with harmful algal blooms on human, animal, and environmental health. Learn more. 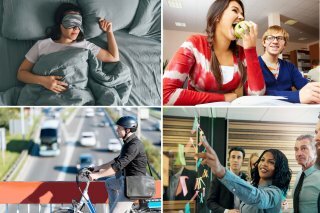 Many students are familiar with common chronic illnesses, but may be unaware of how the surrounding environment is linked to these conditions. 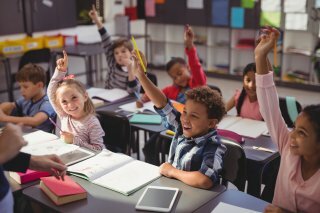 EPA’s new suite of educational materials aims to address that knowledge gap with classroom-ready lessons that teach students about the environment’s effects on their daily lives, including their health and well-being. Learn more. All communities rely on clean air, clean water, green space, and other natural amenities for their economic sustainability and quality of life. However, these factors aren’t always fully understood or considered when making planning decisions. 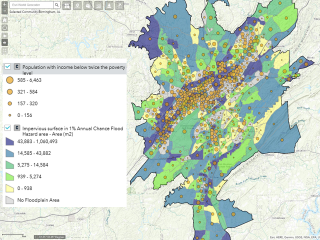 EPA’s EnviroAtlas combines a variety of data to help inform decision makers. 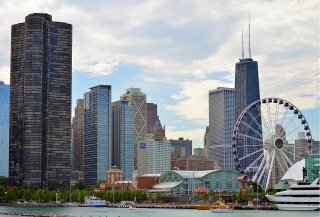 EPA recently added data for six new urban areas, including Baltimore and Chicago. Learn more. Ammonia is found at high levels in many agricultural areas where groundwater is the primary drinking water source. 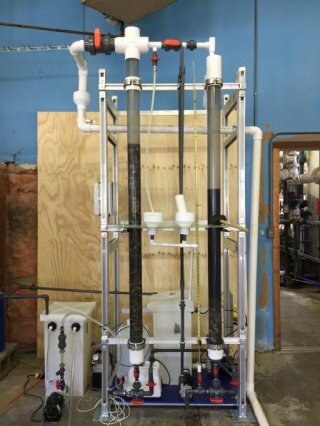 To combat this problem, EPA researchers developed affordable and easy-to-use biological drinking water treatment systems. 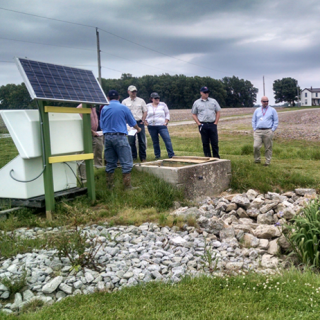 EPA successfully partnered with a community in Iowa in a year-long pilot project to test the technology. Learn more. In this reseach update, read about a newly developed way to remove ammonia from drinking water, how the "One Health" approach can help reduce the health effects of Harmful Algal Blooms, and the new data added to EPA's Enviroatlas tool. Learn more. Delivering drinking water and treating sewage for millions of people, in addition to managing stormwater across hundreds of square miles, requires an extensive network of pipes, pumps, and treatment facilities. New EPA software can help planning agencies and water utilities better understand the flows of water into, within, and out of their cities. Learn more. In this research update, EPA researchers developed new software to help city planners better understand the flows of water into, within, and out of their cities. This update also includes information about new funding to research strategies to detect and eliminate lead exposure in drinking water, a suite of wildland fire resources that can help officials develop health risk communications strategies, and the recent success of a small business that received funding from EPA. Learn more. 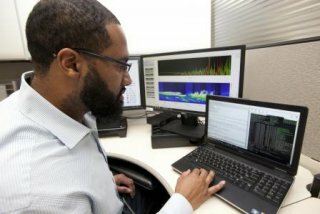 EPA scientists are developing sophisticated computer models to track chemical composition and transport of smoke plumes and predict what areas could be impacted. This information can assist local officials in issuing public health advisories. Learn more. 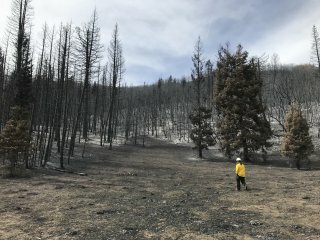 In this research update, EPA scientists use sophisticated computer models to track smoke plumes from wildfires. EPA researchers also look at why there may be a lack of young fish in the St. Louis River and examine the connection between wildfire smoke and emergency room visits. Learn more. EPA and partners are looking at ways to use miniature sensors to monitor air quality near wildfires. Data from these small sensors can complement measurements obtained from more complex regulatory-grade monitors that are stationary or not easily transported. Learn more. Scientists and engineers in EPA’s Office of Research and Development are conducting research to address geographically-based environmental issues and advance science to support public health and environmental protection. Learn about seven of EPA’s important research facilities. EPA partners with public health organizations to share science and ensure a healthy future for our nation’s communities. Read about some of the positive impacts these partnerships have had. 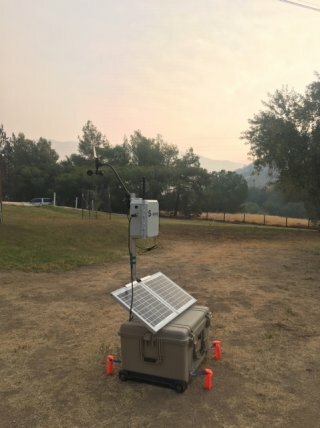 In this research update, EPA scientists test miniature sensors for monitoring air quality near wildfires. Additionally, look inside some of EPA's laboratory facilities and see how EPA partners with public health organizations to advance the science that protects communities. Learn more. 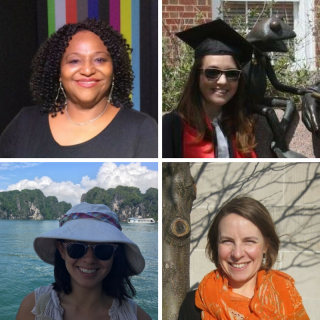 March is Women's History Month, and in celebration, here are a few amazing women who help EPA achieve its mission to protect human health and the environment. 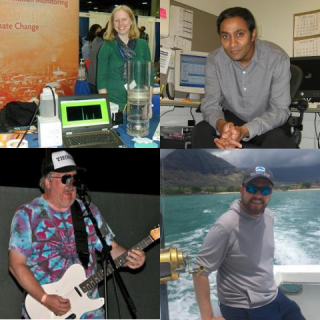 Learn more about their work and read their advice for anyone interested in a career in science. If you live in a city with a Village Green station, monitoring air quality can be as easy as a walk in the park. 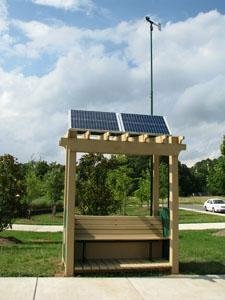 EPA’s Village Green stations are park benches with innovative air quality measurement systems built right into them. Anyone interested in establishing their own Village Green-like station can learn how by viewing the new instructional manual and video. Learn more. 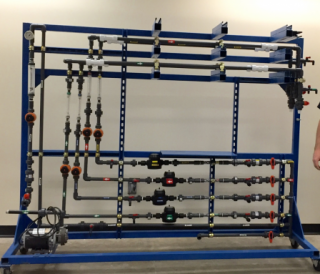 Low-cost air sensor technologies continue to become more readily available. But the need to accurately characterize the air quality data remains a challenge. EPA researchers are working with Aeroqual, a New Zealand-based company specializing in the development of air quality monitoring equipment, to evaluate and advance these new technologies. Learn more. Over the course of a day, we may encounter different levels of air pollutants. Tracking these exposures is important to understanding their impacts on our health. EPA researchers developed the MicroTrac model to enhance exposure assessments by correctly identifying where people are when they are exposed to air pollution. Learn more. 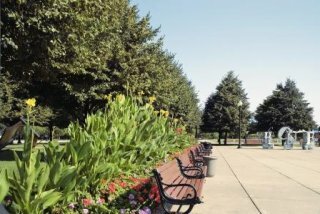 In this research update, EPA scientists provide instructions on buidling your own Village Green-like station. They also work with an air quality monitoring equipment company to evaluate and advance air sensor technologies, use a new way to track exposure to air pollition, and support the next generation of environmental scientists. Learn more. 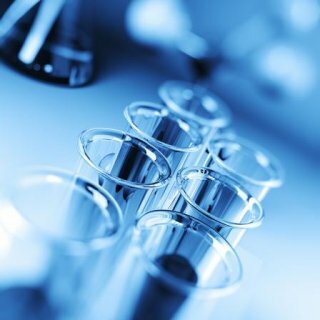 Typically, when a product is screened for chemicals, the researcher is only looking for the presence of a few specific chemicals. Using a new approach, called suspect screening, EPA researchers are testing household products for all chemicals present. These data can be used to prioritize which chemicals should be screened for health risks. Learn more. Wildfire smoke is dangerous. It’s also a major component of air pollution. 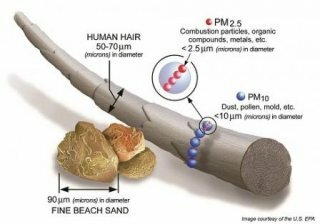 EPA researchers are investigating whether particles in wildfire smoke have different health effects depending on the type of wood burned and stage of the fire such as flaming or smoldering. Learn more. 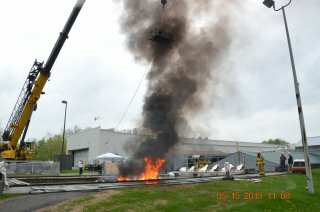 One of the biggest challenges in understanding potential hazards of exposure to PFAS chemicals is the lack of toxicity information. 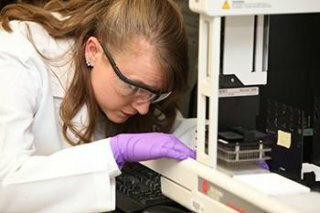 EPA researchers have partnered with researchers at the National Toxicology Program to develop a tiered testing approach to quickly generate toxicity and kinetic information for approximately 75 PFAS compounds. Learn more. EPA’s researchers are combining chemical data from newly developed testing and screening techniques with Unilever data on exposure information from use of consumer products. This collaboration has the potential to provide better ways to evaluate the potential health effects of new ingredients and chemicals. Learn more. EPA has updated ECOTOX, a publicly available application that provides environmental chemical toxicity data used to assess the effects of chemical exposures to aquatic life, terrestrial plants, and wildlife. ECOTOX 5.0 is now available in beta version, offering an opportunity to provide feedback before this updated version becomes final. Learn more. In this research update, EPA scientists work to understand the potenial hazards of exposure to PFAS chemicals. They also look at the health effects of wildfire smoke and use a new method to test household products for chemicals. Learn more. Per- and polyfluoroalkyl substances, known as PFAS, are chemicals that are used in a variety of consumer and industrial products. PFAS persist in the environment and can build up in the bodies of people and animals, harming the environment and human health. EPA scientists and engineers are working to help communities make informed decisions about PFAS in the environment. Learn more. 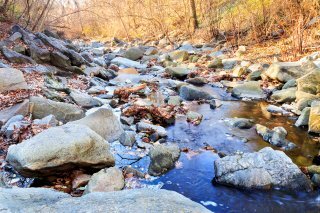 EPA is working with USGS and several local and state organizations to provide real-time water quality monitoring data to the Baltimore, Maryland, community. 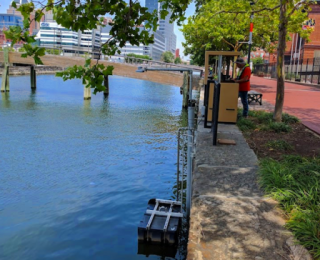 The project, Village Blue, has a new web application that displays data collected via two sensors mounted underwater in Baltimore Harbor. Learn more. Monitoring your local air quality just got a little easier. EPA‘s Air Sensor Toolbox has two new tools that enable citizen scientists to more effectively collect and interpret air quality data in their communities. Learn more. 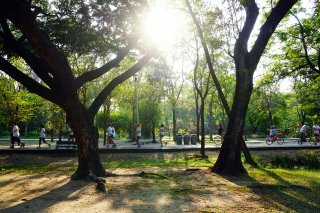 Are Greenspaces Good for Your Heart? Neighborhood forests may be good for our hearts. Two new EPA studies examine the links between greenspaces and healthy communities. Learn more. Encouraging the next generation of scientists is essential in addressing future environmental challenges. Through its Community Engagement and Science, Technology, Engineering and Math (STEM) Outreach Program, EPA has been engaging with college and graduate students at Historically Black Colleges and Universities in North Carolina. Learn more. In this research update, EPA scientists are working to help communities make informed decisions about PFAS in the environment. 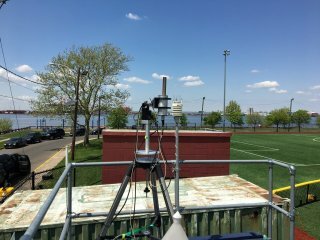 They also worked on a project that provides real-time water quality monitoring data to the Baltimore, Maryland, community; examined the links between greenspaces and healthy communities; encouraged the next generation of scientists; and released two new tools that enable citizen scientists to more effectively collect and interpret air quality data in their communities. Learn more. How Can You Protect Your Heart from Air Pollution? EPA researchers are studying whether eating certain foods or taking supplements might protect against the onslaught of air pollution. 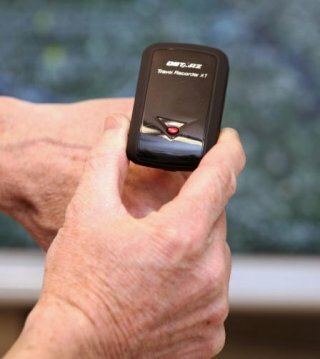 They are also testing innovative technologies that can be used to teach people about potential risks. Learn more. In this research update focusing on Heart Health Research, EPA scientists looked at whether eating certain foods or taking supplements might protect against the onslaught of air pollution. They also found that living near roadways can have an impact on heart health and they worked with CDC to develop a course for healthcare professionals called Particle Pollution and Your Patients' Health. Learn more. Stormwater runoff is one of the fastest growing sources of pollution. In areas with more rooftops and roads than natural surfaces, a big storm can mean flooding and increased pollution reaching our waterways. EPA's National Stormwater Calculator, a tool to help reduce runoff using low-impact development tools, is now available as a web application that can be used on desktop and mobile devices. Learn more. EPA is committed to advancing the cleanup of contaminated sites. 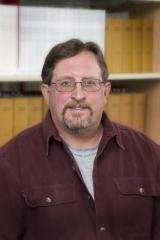 EPA researcher Dale Werkema and collaborators at the U.S. Geological Survey recently released an easy-to-use, spreadsheet-based tool to help site managers and others explore the value of using electrical resistivity imaging before investing time and money into the technique to guide cleanup activities. Learn more. Wildfires are increasing in intensity and size, contributing to impaired air quality for people living near or downwind of the fires. In a new article, EPA researcher Wayne Cascio provides insights into the state of knowledge about the health effects of smoke from wildfires and describes needed research. Learn more. We know we can reduce how much water we use, but what about reusing and recycling it? EPA is working with San Francisco and other state and local governments around the country to make sure we can do that safely. Researchers are currently modeling exposure risks to create a regulatory risk-based framework so that water can be recycled and reused safely. Learn more. In this research update, EPA researchers work with San Francisco and other state and local governments around the country to make sure we can reuse water safely; EPA researcher Wayne Cascio discusses health effects of smoke from wildfires and describes needed research. ; and the Stormwater Calculator gets and update. Learn more. Studies have shown the harmful effects of long-term exposure to air pollution, but there is little research on the effects of exposure to air pollution at levels below the National Ambient Air Quality Standards. To fill this gap, EPA grantee Francesca Dominici and colleagues conducted a nationwide study to examine the link between mortality and long-term exposure to ozone and PM2.5 at levels lower than the current annual standards. The results show that even low levels of air pollution raise mortality risk for older adults. Learn more. 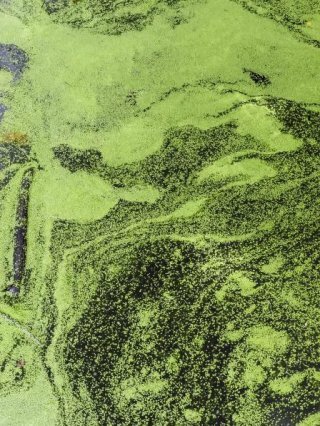 In this research update, EPA provides funding for innovative research on harmful algal blooms, a study looks at exposure to air pollution from highways, railways, and industry in Kansas City, and an EPA grantee examines the link between mortality and long-term exposure to ozone and PM2.5 at levels lower than the current annual standards. Learn more. We asked EPA researchers to share their 2017 accomplishments and goals for the next year. Read about what they are most proud of in the past year and what they are looking forward to in 2018. Last year, Congress passed a bill to reform the Toxic Substances Control Act (TSCA), which helps EPA protect American families from the potential health effects of chemicals.To make sure TSCA is enforced effectively, EPA requires the best scientific data on chemical safety. EPA researchers are developing and improving tools to provide chemical data and help implement TSCA. Learn more. EPA scientist Dr. Gerald Ankley was selected as a Distinguished Rank Recipient for the Presidential Rank Awards. As an EPA employee of 29-years, Dr. Ankley has represented the highest standard of elite researchers in the field of environmental science. Learn more. 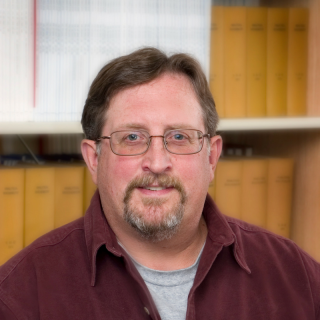 In this research update, EPA scientist Dr. Gerald Ankley was honored for a career of important environmental research. EPA launched a cross-agency effort to address PFAS in the environment and EPA and partners announced Phase 2 of the Advanced Septic System Nitrogen Sensor Challenge. Learn more. 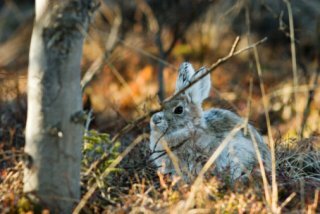 Prescribed burns in prairies can get rid of invasive plants and rejuvenate the soil, which encourages native grasses to grow. However, the smoke plumes from the fires can contribute to air pollution in nearby communities and farther downwind. EPA researchers are conducting research in Flint Hills, Kansas, to support best smoke management practices for prescribed burns of prairies to reduce the impact of smoke on communities. Learn more. Using too much fertilizer can waste farmers’ money and impact groundwater and surface water across the country. 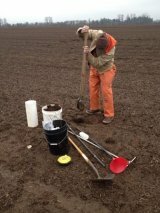 EPA researchers are working with farmers to connect agricultural practices with groundwater management in Oregon’s Willamette Valley. The goal of the research is to improve water quality and help Oregon farmers reduce their annual spending on fertilizer. Learn more. In this research update, EPA researchers are supporting best smoke management practices for prescribed burns and working with farmers in Oregon to save money while reducing impacts on groundwater. 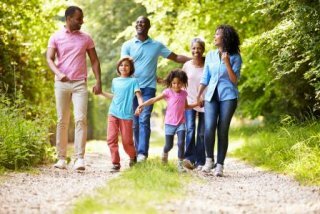 EPA-supported research centers that look at health disparities among minority and economically-disadvantaged populations issued a report on their progress so far. Learn more. EPA researchers looked at vulnerabilities to environmental changes in Washington, DC, and Worcester, Massachusetts. Their report describes a comprehensive and flexible workbook that cities can use to become more resilient to these changes. Learn more. The Yurok Tribe in Northern California depends on the health of the Klamath River for much of its food and water supplies. With support from EPA, the Yurok Tribe Environmental Program is currently conducting a study to identify areas of water resource vulnerability and resiliency, assess impacts on food security and tribal health, and increase the Tribe’s adaptive capacity to prepare and respond to changes in the environment. Learn more. 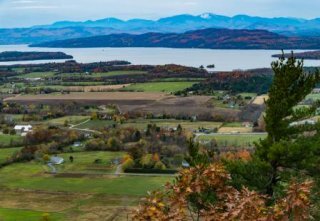 Lake Champlain has a phosphorus problem. EPA researchers are working with small dairy farmers in the state of Vermont to explore whether pasture-based rotational grazing can be a viable, cost-effective, option to help to reduce phosphorus loading to the lake. The goal is to find an equitable, socially acceptable solution that supports farmers in the region. Learn more. Exposure to green space in cities and suburbs is associated with a host of health benefits such as improved mental health, better pregnancy outcomes, and reduced cardiovascular disease and mortality. But how does spending time in green natural environments lead to better health? One explanation may be reducing the harmful effects of chronic stress. Learn more. In this research update, you can learn about how EPA research is finding correlations between time spent in natural environments and stress reduction, help ing Vermont farmers to reduce phosphorus in Lake Champlain, and helping cities measure their resilience. You can also read about EPA supported research to assess the Yurok Tribe's environmental vulnerability. Learn more. EPA recently launched the year-long Kansas City Transportation and Local-Scale Air Quality Study to learn more about air quality in three neighborhoods in Kansas City, KS, that have multiple air pollution sources from highways, railways, and industry. The study will provide comprehensive air quality monitoring using three different air measurement approaches. A citizen science project is part of the study and will involve area residents and students in air measurement activities. Learn more. You’ve heard of a carbon footprint, but what about a nitrogen footprint? Nitrogen pollution can negatively affect air and water quality, as well as public health. EPA and collaborators used the Nitrogen Footprint Tool to calculate the nitrogen footprint of seven universities and laboratories to see where they could reduce their nitrogen outputs. The results can help institutions develop better sustainability strategies for their campuses. Learn more. In this research update, you can learn about EPA research to measure the nitrogen footprints of seven U.S. universities. EPA also launched the year-long Kansas City Transportation and Local-Scale Air Quality Study to learn more about air quality in three neighborhoods in Kansas City, KS. EPA researchers identified areas in Portland, Oregon, that could benefit from heat mitigation efforts such as planting trees and vegetation. And EPA-funded research found that even as air pollution levels decrease, people of color continue to be exposed to more air pollution than other groups. Learn more. Lead is everywhere – the air, the soil, the water, and inside our homes. Children, whose brains are still developing, are more susceptible to a host of neurological health effects brought on by lead exposure. Three new EPA studies on lead exposure and risk management can inform decisions to better protect children and other vulnerable groups by identifying exposure hotspots and quantifying how different sources contribute to exposure. Learn more. Children are likely to be more vulnerable than adults to the effects of environmental contaminants. EPA and the National Institute of Environmental Health Sciences have jointly funded several Children's Environmental Health and Disease Prevention Research Centers across the country. 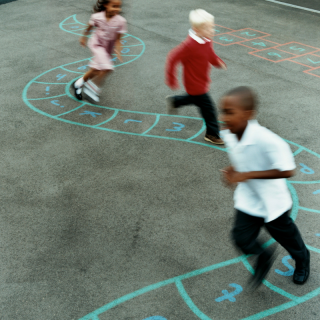 For more than 17 years, the Centers have provided communities with the information they need to better protect children from environmental exposures wherever they live, learn, and play. Learn more. In the United States, 6.2 million children are affected by asthma, causing them to miss school, extracurricular activities, and other important eventsEnvironmental factors such as air pollution, mold, and secondhand smoke can worsen common asthma symptoms. 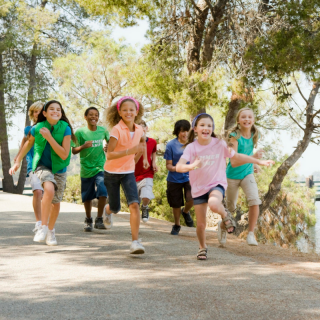 Research from the NIEHS/EPA Children’s Centers has increased understanding of what factors heighten asthma and what can be done to help children maintain a normal quality of life. Learn more. Less than 1% of chemicals in the environment have been tested for effects on the developing nervous system. 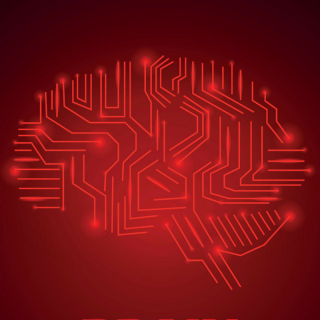 EPA researchers grew neural networks in their laboratory that showed the promise of helping to screen thousands of chemicals in the environment that are yet to be characterized for developmental neurotoxicity hazard through traditional methods. Learn more. In this research update, you can learn more about children's health research at EPA. 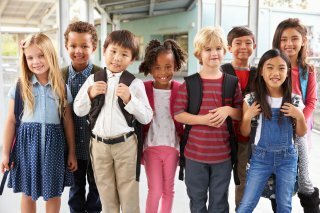 Stories include the research of Children's Environmental Health and Disease Prevention Research Centers, jointly funded by EPA and the National Institute of Environmental Health Sciences; three new EPA studies on lead exposure and risk management can inform decisions to better protect children and other vulnerable groups; and EPA research on how environmental chemicals may disrupt normal microbial colonization and cause developmental neurotoxicity. Learn more. 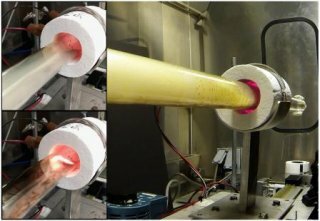 Researchers need to understand how complex mixtures of air pollutants are formed, transported, and eventually removed from the atmosphere. EPA’s Community Multiscale Air Quality (CMAQ) Modeling System, a computational tool that models multiple air pollutants and a variety of air toxics, has been updated to support research in this area. Learn more. What is the public health and economic cost of air pollution from wildland fires? Researchers from EPA and NC State University, the University of Sydney, and the University of Tasmania recently determined that thousands of premature deaths and illnesses were caused by air pollution from wildfire smoke over a five-year period. The economic cost of these impacts is in the tens of billions of dollars. Learn more. The Cyanobacteria Assessment Network uses historical and current satellite data to provide an early warning for harmful algal blooms in freshwater. Since 2015, CyAN imagery has detected algal blooms in Ohio, Florida, California, Vermont, New Hampshire, Massachusetts, Connecticut, and Rhode Island before traditional monitoring efforts alerted watershed managers. Learn more. 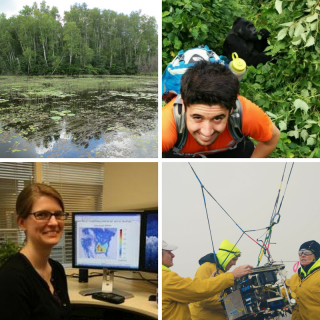 In this research update, EPA awards money to 15 small businesses , uses satellite imagery to detect harmful algal blooms, determines the public health cost of wildfires, and updates a tool to help researchers study how complex mixtures of air pollutants are formed. Learn more. 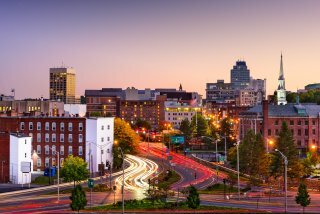 EPA is helping a community in Rhode Island develop strategies to protect them from future extreme weather events. Part of this effort includes working with partners to build a “living shoreline” and improving marsh condition to better withstand flooding. Learn more. After a wide-area attack with a biological agent, like anthrax, rapid response is essential. Safe and effective clean-up methods based on sound science are crucial. That’s why EPA researchers are looking for ways to speed up and simplify the decontamination process to rapidly and effectively respond to environmental catastrophes. Learn more. September is National Preparedness Month. EPA scientists and engineers are working to protect human health and the environment in the face of emergencies and natural disasters. Learn more. Are BPA Substitutes Any Safer Than BPA? EPA scientists have been conducting research to better understand the health effects from exposure to BPA. 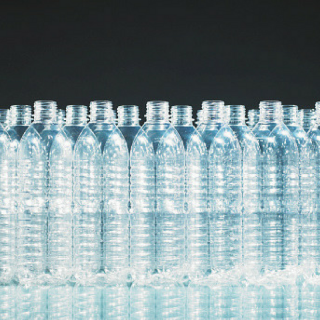 In the meantime, many manufacturers have started to use other chemicals as substitutes for BPA. An EPA scientist, along with researchers at King’s College London, set out to determine whether six bisphenol A (BPA) alternatives found in the marketplace are any safer than BPA itself. Learn more. In this research update, EPA is responding to Hurricanes Harvey, Irma, and Maria. EPA also teamed up with CDC on a new course for healthcare professionals, investigated BPA alternatives to see if they were safer than BPA, and tried to improve stormwater management plans. Learn more. Forested watersheds in the Pacific Northwest are largely responsible for the region’s clean water, but they are vulnerable to threats such as diseases, wildfire, pests, and a changing climate. 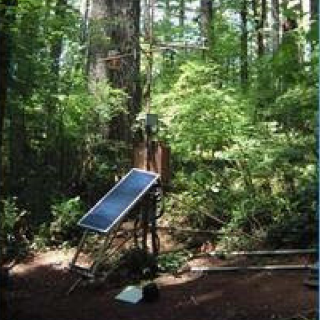 To better understand how forests respond to these threats, EPA has partnered with the US Forest Service to establish a network of monitoring sites in the Coast and Cascade Mountain Ranges of western Oregon. Learn more. In this research update, EPA is working with partners across 14 states to address environmental challenges. Researchers are also monitoring forested watersheds across the Pacific Northwest to see how they are responding to emerging threats in the region. Finally, EPA and partners installed a permeable pavement parking lot at an elementary school in Fort Riley, Kansas. Learn more. Identifying the source of soil contaminants is vital to decision-making during an environmental cleanup. That's why EPA scientists partnered with several southeastern states to figure out how urban background contaminants differ from industrial waste at urban sites. Learn more. EPA researchers are working with partners on the Cyanobacteria Assessment Network, one of the most wide-ranging freshwater monitoring systems in the country. 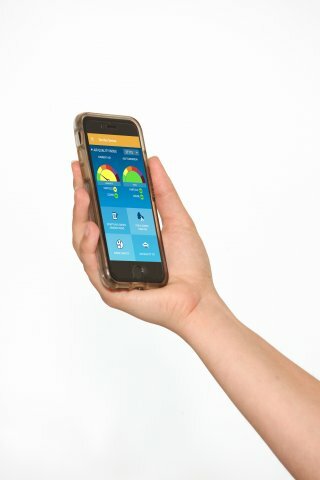 An EPA study, called Smoke Sense, is the first of its kind to use a mobile app to evaluate the health effects from wildland fires. To better understand exposure to and risk from nanomaterials, EPA researchers have developed a new structured approach, or framework, to evaluate the potential risks of nanomaterials. Learn more. 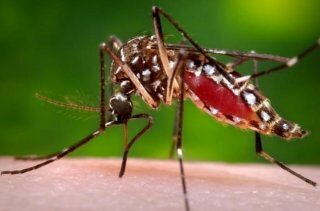 In November 2016, Brownsville, Texas, became the second location in the U.S. to report a locally-acquired case of the Zika virus—a disease spread by mosquitoes that can lead to severe birth defects. EPA researchers are partnering with the Department of Public Health and local universities in Brownsville to identify mosquito hotspots and the factors that lead to the mosquito’s spread. Learn more. EPA researchers are working with the Nisqually Community Forest (NCF) to improve forest management and help wildlife recover. EPA and partners have launched the Nutrient Sensor Action Challenge to combat nutrient pollution. EPA's Report on the Environment is an interactive resource that shows how the conditions of the environment and human health in the United States are changing over time. The latest update to the ROE includes updated data for 31 indicators. Learn more. 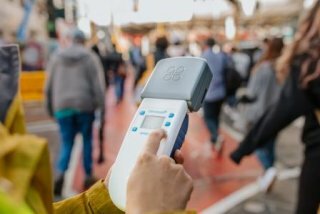 In this research update, EPA collaborated with the technology company, Aclima, on the company’s year-long study that equipped Google Street View cars with a mobile sensing platform to measure local air quality in the city of Oakland, California. EPA is also developing faster and more economical approaches to predict potential health effects of thousands of chemicals. 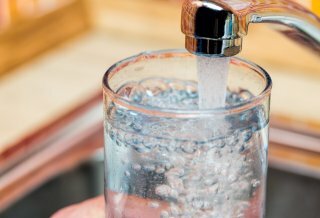 Finally, EPA has announced a request for applications for two grants totaling $4 million in funding for innovative research into detecting and controlling lead in drinking water. Learn more. 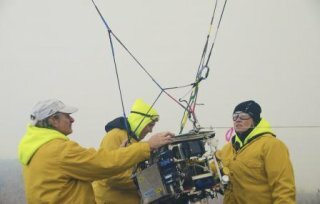 EPA scientists are collaborating with multiple agencies for the Lake Michigan Ozone Study--a field study aimed at better understanding ozone chemistry and meteorology along the Wisconsin-Illinois Lake Michigan shoreline using a combination of aircraft, ground-based, and ship-based measurements. Learn more. EPA researchers are measuring water quality on Lake Huron, looking at the connections between genes and air pollution, and exploring the drivers that affect rural drinking water quality. Learn more. EPA scientists and partners have installed the latest Village Green bench at the John P. McGovern Museum of Health & Medical Science in Houston, Texas. 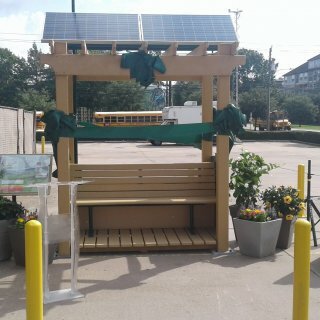 The solar-powered bench was designed by EPA researchers to provide insights into new air monitoring technology and engage the community in their local air quality. Learn more. 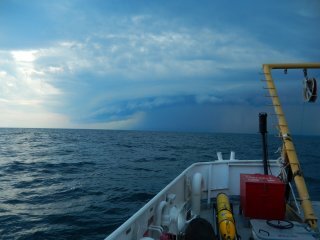 EPA scientists and partners are collaborating on the Lake Michigan Ozone Study. Other recent EPA research includes a Community Health Vulnerability Index that can be used to help identify communities at higher health risk from wildfire smoke and research that shows the link between air pollution near roadways and cardiovascular disease. Learn more. EPA researchers, working with scientists from the USDA’s Agricultural Research Service, are helping farmers improve the health of the soil and increase crop yields in the Atlantic coastal plain. Adam Nayak, a junior at Cleveland High School in Portland, OR, was this year’s winner of EPA’s Patrick H. Hurd Sustainability Award. And EPA scientists are filling in missing pieces of the puzzle on chemical exposure. Learn more. 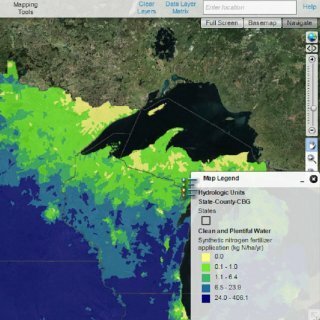 EPA scientists and partners are using EnviroAtlas to model recent land cover changes in Minnesota to understand how projected changes could affect future water quality and associated treatment costs. Learn more. EPA researchers and partners are teaming up to respond when disaster strikes. Researchers have also been examining how the hormone estrone affects male fish, and how to reduce the effects of roadway air pollution. Learn more. 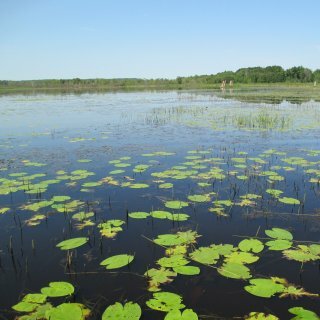 EPA researchers and a host of partners have been working to restore the St. Louis River estuary and help local communities reap the full benefits of a clean, healthy environment. Their work is already making improvements in water quality. Learn more. 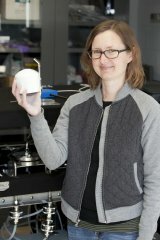 In this research update, EPA researchers find associations between poor environmental quality and cancer; help scientists monitor and track algal blooms; EPA grantees investigate the links between community stressors and asthma; and EPA's M-Wiz app helps you navigate the world of materials management. Learn more. EPA researchers are creating an energy and water technology tool - called the Community-Scale MARKAL Model - to help cities and other municipalities make decisions on how to protect the environment, while also providing energy required for water services. Learn more. In this research update, EPA researchers are conducting studies to better understand the links between Puerto Rico’s coral reefs; sampling streams across the United States for chemical contaminants; partnering with Clean Air Carolina in Charlotte, N.C., and the Eastern Band of Cherokee Indians in Cherokee, N.C., to conduct citizen science air quality projects; and looking at how to increase the streams’ ability to adapt to theses excess nutrients. Learn more. EPA established the East Fork Watershed Cooperative—a group of scientists, engineers, economists, and water resource professionals from a variety of organizations—to find the best ways to improve water quality in the East Fork of the Little Miami River Watershed in Ohio. Learn more. 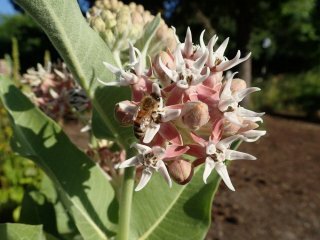 In this research update, EPA kicked off pilot program enabling select beekeepers to submit hive health reports and honey samples to EPA for analysis; announced a Wildland Fire Sensors Challenge; used NASA satellite data to measure changes in water availability; evaluated the benefits of green infrastructure; and publicly released the first external review draft of the Integrated Science Assessment for Oxides of Nitrogen, Oxides of Sulfur, and Particulate Matter-Ecological Criteria. Learn more. Living close to roadways can pose health risks related to pollution from traffic. EPA researchers are looking at ways to mitigate these risks, including placing vegetation barriers along roads to reduce pollution. Learn more. 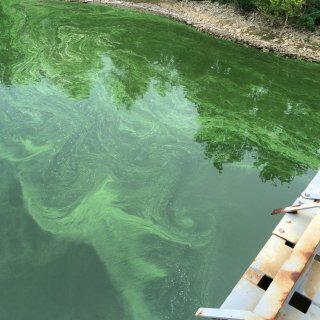 In this research update, EPA researchers are working to detect blue-green algae in the Ohio River; examining how killfish adapt to unlikely environments; and preparing to respond to natural and man-made disasters. Learn more.